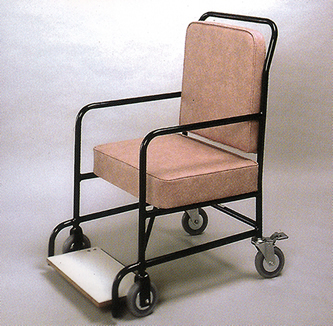 A general purpose porters ward chair with 125mm diameter wheels and brake castors, it is designed to be used where floors are reasonably smooth, and where access through narrow doorways can be a problem. Through compact, it is sturdily built and very stable. The full width tip up footboard may be stood upon without tipping the chair.